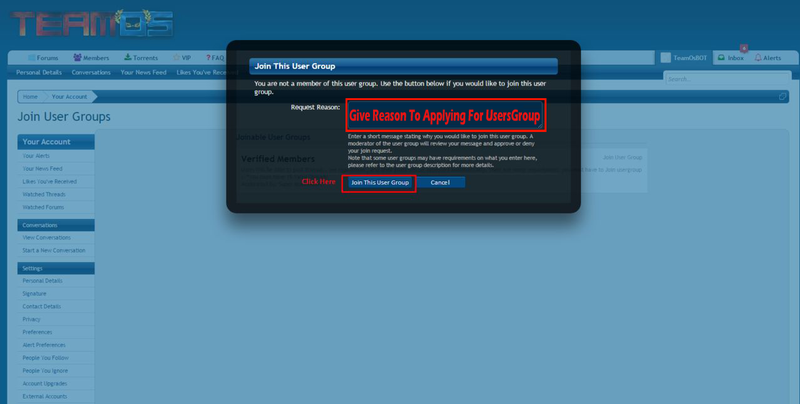 Join Usergroup Request - New Feature Added | Team OS : Your Only Destination To Custom OS !! This Feature no longer exists,this means we don't promote members on request. Please read the requirements, complete it and wait for your call. Have patience and keep up the good work! User promotion no longer exists by system. It's treated manually by Staff member, You need to keep requirements under your account and have patience, sooner or later staff member might look forward to you. Thanks! If you request then it might get rejected. So please stick to plans and wait for your best call. Good luck! Now Registered Users Can Request To Join Verified UserGroup , Once The Request Is Approved by Staff member, users will have the power of Verified Member and they can post without Moderation. Moderator and Staff member must check users that they have atleast 15 good Threads Posted. 2. User must be active here since past 5 months. 5. You must give a Good reason/explanation to describe about joining. Once member is approved and as time goes by and they would like to ask for Uploader Badge or Status.. Then come here and apply and ask.. 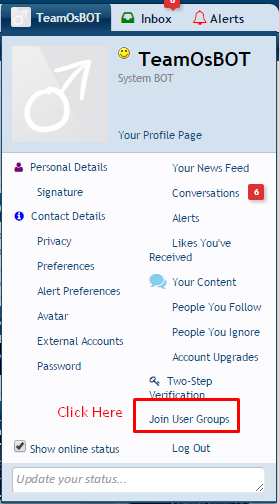 Note: this feature only shown to all ''Registered users'' not to anyone else. -Do not waste Staffer's time by adding useless request to joining Usergroup. -Do not repeat to apply Usergroup if your request were rejected/declined. Try again after 30 days, No less. -Do not misuse this feature for any other proposal/advertisment/promotion. that considered to account Ban. -If Staff member found any duplicate thread/retag from entire posted threads then yours request will be overlooked. Regards, @Mr.Lonely , @tomeCar , @The Rain @TheMacGyver and All Staff.. Awesome Explanation, Well Done Buddy nicely explained , hope users will follow this and as per Auto promotion is off now , so this is the only way of getting promoted to Verified Users right now. Great Info.. ..Mr.SaM.... .... Thanks for Sharing.. I have given a good reason!! Still no reply nor i am a verified member!! You'd read this thread? NO You didn't. and why you're asking to Evil? 0. Post means thread, not a post you made on thread. 1. You don't have any verified thread. 2. You haven't made any valuable post yet. what you almost done was spamming on threads without downloading all of them. 3. You Request was useless because you've don't have any legit reason to get VM. Note: Please re-read and follow on after a while (as per limitation/requirements) request again if you're under requirement. Thank You Sir For Your Valuable Information!! Can i ask for promotion? Thank you @Mr.SaM (@The Strength for the reminder.God bless you for the good wok.